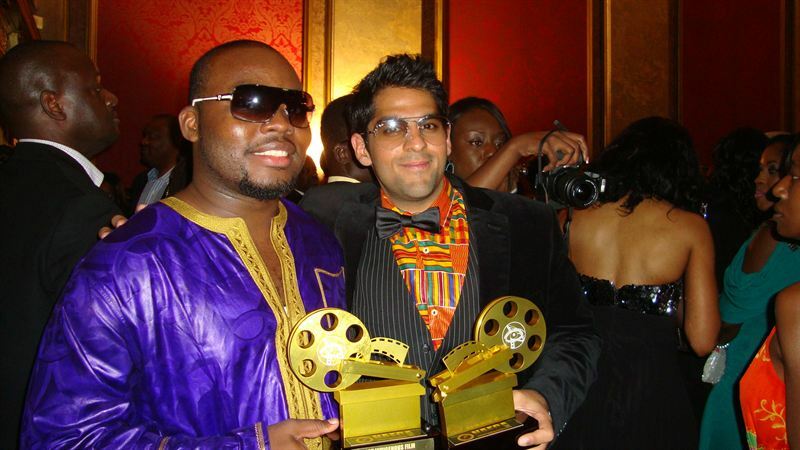 The award-winning LA-based musician and filmmaker Jason Mohan aka Jay Mo has cruised into the record books as the first ever British Indian to be awarded an African Oscar. Held in Washington D.C. at the legendary Warner Theater, the African Oscars are now in their third year. Also known as the Nollywood Film Critics’ Awards USA the awards recognize excellence in the African film industry and are the most prominent celebration of African cinema in the USA. Watched by over 500 million viewers worldwide, the ceremony is a star-studded affair with dignitaries and stars from cinema, music and culture gracing the red carpet. Mohan picked up the Best Original Soundtrack Oscar for his work on America – The Dream. The soundtrack was created for the film The Fetus, directed by Hollywood-based Nigerian John Chuka. As the first ever musician of British Indian descent to receive an African Oscar, Mohan joins an illustrious list of Nollywood Film Critics’ Awards winners including former South African president Nelson Mandela, President Yahya AJJ Jammeh of The Gambia, 2013 Best Film Director award winner Charles Novia-Alan Poza and Best Actress in a Leading Role recipient Genevieve Nnaji for Weekend Getaway. As well as England, Mohan also spent grew up in Liberia, Nigeria, Ghana and India before relocating to Los Angeles in 2010 to pursue a career in the film industry. In the last 12 months he has collaborated with and promoted various music artists, and has now directed and produced over 100 music videos, 40 shorts and documentaries, seven commercials and one TV Pilot. Fresh from his African Oscars success, the musician and filmmaker has seen his debut short film The Successor of Katunga winning rave reviews on the independent film and festival circuits. It was screened at the iconic Warner Bros Studios in Hollywood earlier this year.